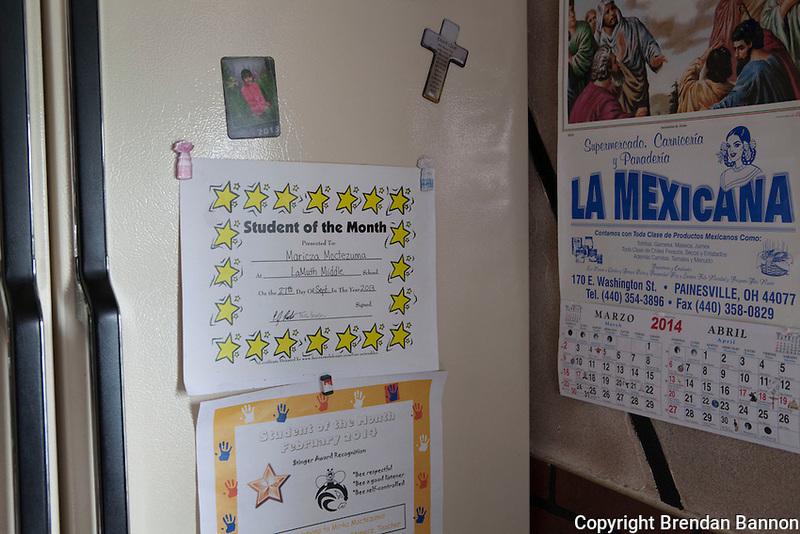 Student of the month certificate on the fridge at Esperanza Pacheco's home in Painesville , Ohio. Her daughters Maricza and Mirka Moctezuma both had certificates posted to the family fridge. Painesville, Ohio. Photo by Brendan Bannon. March 25, 2014.